Welcome to Epi60 of Succotash, the Comedy Podcast Podcast! I feel like celebrating every ten episodes we get further down the podcasting road. And I hope you're enjoying listening as much as I enjoy putting this thing together. 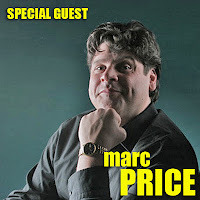 While we're got a few comedy podcast episodes to share this week, the bulk of Epi60 is given over to an interview I did recently with Marc Price. 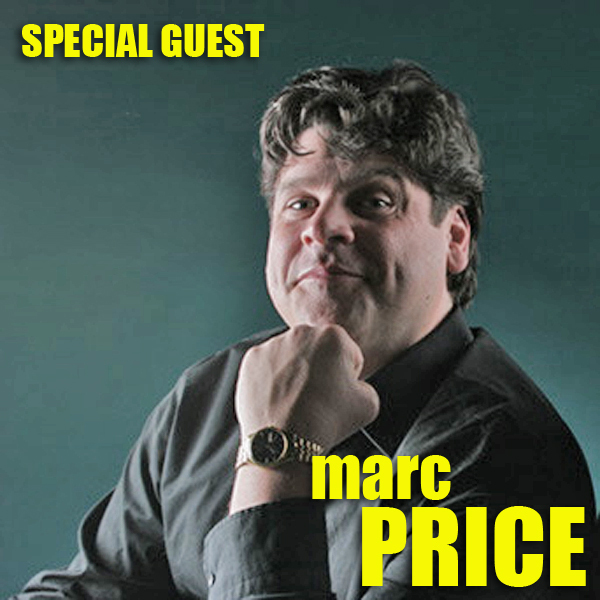 Yes, THAT Marc Price. 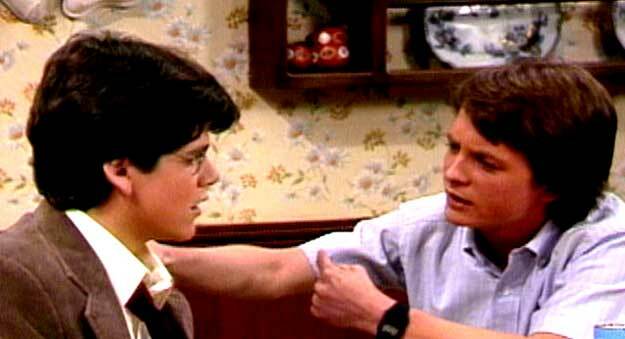 Stand-up comedian since he was 14, an actor, a producer, and still most often recognized for the seven years that he appeared as Irwin "Skippy" Handleman on NBC’s Family Ties. 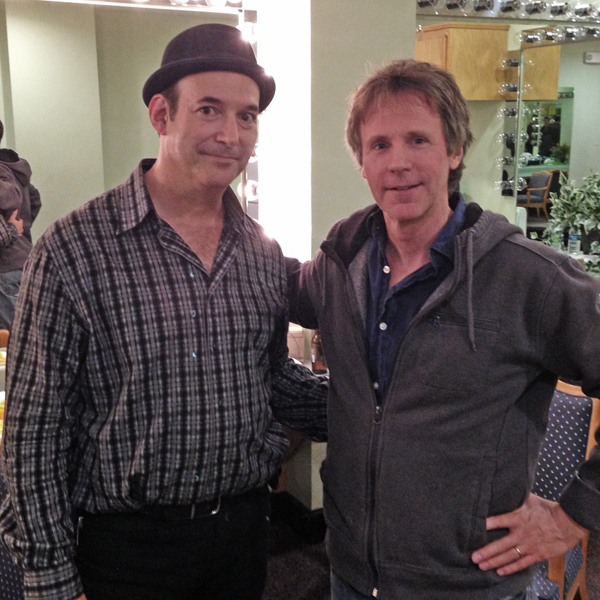 Marc was passing through my hometown of Mill Valley a couple of weeks ago and played a Tuesday night at the 142 Throckmorton Theatre as part of the Mark Pitta & Friends show. I hadn’t seen him in quite some time so I was able to not only cajole him into sitting down and catching up, but doing so in front of our microphones. He's had a number of TV, movie and web opportunities over the years but, in hearing him tell his tale, the success brought into his life by Family Ties starting at the young age of 14 overshadowed a lot of other efforts. He was on a bit of a soul-searching trip along the West Coast, driving from gig to gig to get away from some hassles at home which he delves into during our chat. I saw the hosts of Defective Geeks, Gizzy and the Space Pirate Queen, a few months ago in LA at a show that Chris Gore from PodCRASH was having at IO West. 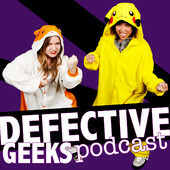 Their podcast is a little unusual in that it features them: two LADY nerds who aren’t afraid to show it let their geek flag fly. In recent Epi118, they welcome the creator of web series Super Knocked Up, Jeff Burns, along with actors Jourdan Gibson (Darkstar) and Mark Pezzula (Captain Amazing). The series features the domestic disaster of what happens when a super hero and a super villainess hook up and he gets her pregnant. And that's pretty much the story for Epi60 of Succotash, the Comedy Podcast Podcast. Bill Haywatt, our booth announcer, is on vacation this week, which means I had to do the Henderson's Pants commercial myself. But our esteemed collegue returns next episode for another installment of Boozin' With Bill. Until then, please pass the Succotash! Regular listeners to the show over the past couple of months have probably noticed a preponderance of mentions, clip and cruel japes aimed at the Chillpak Hollywood Hour podcast. And they've been flinging it right back at us. It's all be in good fun - the hosts of CHH (Dean Haglund and Phil Leirness) not only have become good friends of mine personally, but theirs was the first podcast I started listening to on a regular basis. Now in their 7th year, I have dubbed them "podcast royalty", a dubious distinction that they nevertheless wear with honor. This past week saw the Chillpak boys MISS their opportunity to hit me back. Dean's father was ill and off Dean went to visit his dad in Canada. This necessitated the playing of a pre-recorded CHH. A pre-recorded version in which they didn't mention Succotash. So…we WON! There were no rules stated at the outset of our friendly competition, and no prize money at stake. So we did the next best thing - talked about. So the bulk of what you're in store for is Phil Leirness and I engaged in conversation about out little back-and-forth as well as a number of other topics. Phil is an avid conversationalist and, rather than just have him waste his breath on me, I'd prefer to share him with the world. So here he is. If you like what you hear and haven't caught Chillpak Hollywood Hour own podcast, you owe it to yourself to do so. You'll find them over at ChillpakHollywood.com, iTunes, Stitcher, Jackalope Radio, The Talk Superstation...you'll find 'em. The other thing I popped into this special edition is a quick call into the Succotash hotline from Davian Dent, host of The Bitter Sound podcast and COhost of the Strange Times podcast. I wanted to make sure we gave ol' DD a little extra air because he's currently got me up as his special guest on Epi9 of The Bitter Sound - check it out! 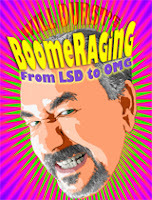 Finally, we DO have our regular installment of our Burst O' Durst will political comedian Will Durst, talking about the Bengazi debacle along with a flurry of other issues buzzing President Obama like tiny drones. Until our next FULL-sized Epi60, please remember to pass the Succotash! Welcome to Epi59 of Succotash, the Comedy Podcast Podcast once again. This episode we’ll be paying visits to some old friends. Why? Well, I’ve been playing a lot of clips from new shows – new in the both the sense that they just started podcasting and some new in the sense that I just am getting around to them even though they’ve been online for a while. 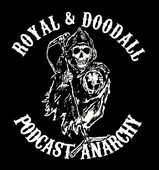 So I figured we should drop in on some podcasts and podcasters we've clipped previously and see how they're sounding. 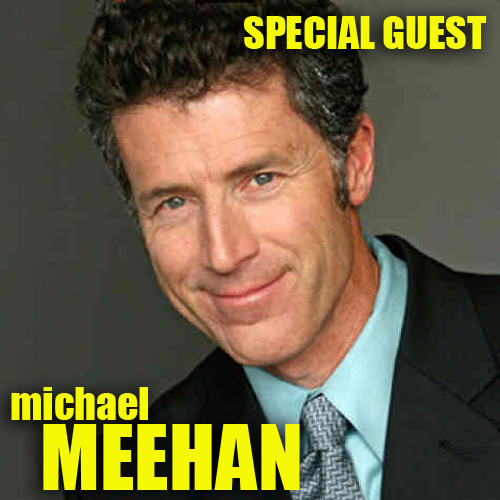 I also have an interview with Special Guest Michael Meehan, who is a San Francisco based comedian, actor and now movie maker. I talk with Mike while eating at a really noise Chinese restaurant in the Marina District about Hey Monster, Hands Off My City!, the feature-length comedy he’s directing and has an IndieGoGo campaign for to help foot the bill. Which means there is still time for YOU to get involved, kick in some dough to help out and - if you get really generous, get yourself a juicy onscreen appearance in the movie! There's a link to the 15-days-left-to-go IndieGoGo campaign over on the right hand side of our homesite at SuccotashShow.com. (We kicked in $50 - why wouldn't we? Mike bought dinner, after all...) And I'm embedding the teaser video for Hey Monster, Hands Off My City in the body of the blog below. 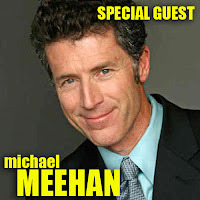 Mike and I talk a bit about standup and some sketch comedy he did with his two brothers awhile back but, because we're mostly focusing on the movie, I'll be inviting him back to spend more time talking about comedy and his take on podcasting as an extension of some comedians' careers. This epi sees a new Boozin’ With Bill segment. This time he's got a nice summer cooler of a drink that he whips up (with no blender mishap like last time!) 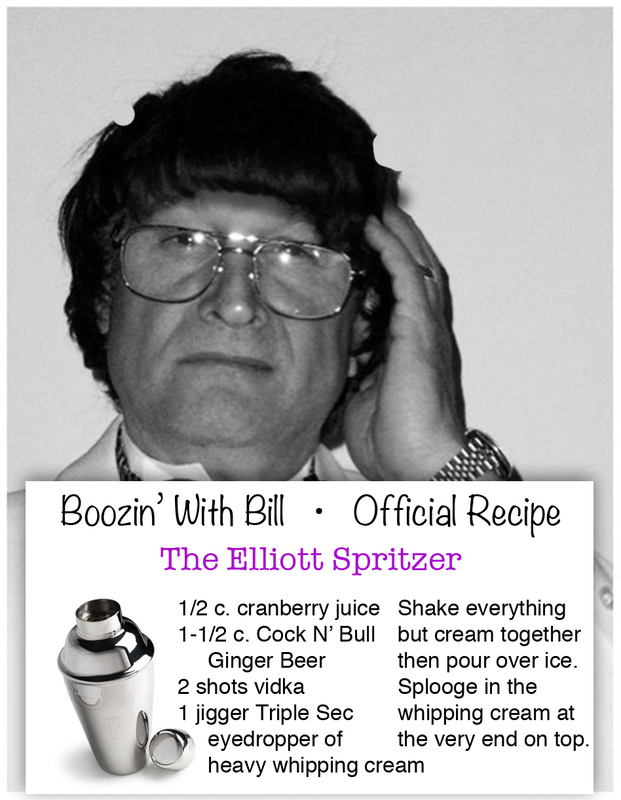 and he'll tell you how to make an Elliott Spritzer, in honor of the besmirched prostitution customer and former governor of New York, Elliott Spitzer. The recipe is included right on our homesite, should you be brave enough to attempt whipping up one of booth announcer Bill Haywatt's concoctions. CHILLPAK VS SUCCOTASH: WE WIN! After months of playful back-and-forth mentions on each others' podcasts, it seems that Dean Haglund and Phil Leirness of The Chillpak Hollywood Hour dropped the bal due to Dean having to leave town suddenly and the guys having to play a pre-recorded show that pre-dated our tete-a-tete. 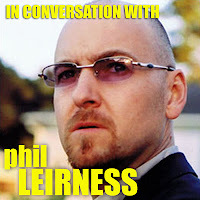 Rather than be a sore winner, I talked with Phil at lenght the other night about that and other things. It was too long to include in THIS episode of Succotash, so I will make it the focus of an upcoming Succotash Special Edition: Epi59 that I will drop in a few days. Darren Staley is a podcast host I’ve NOT had the pleasure of meeting personally but we have cross-tweeted a lot and I’ve clipped his show a few times on the show before. He's a nice guy – Dylan Brody even told me that himself – and the audio quality on his show has gotten WAY better since he first put voice to mic. Here’s part of his chat with writer and a producer of Everybody Loves Raymond and a bunch of other stuff, Lew Schneider. 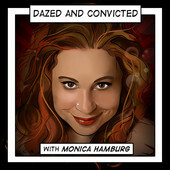 Last episode I mentioned that I would clip Dazed & Convicted by friend-of-Succotash Monica Hamburg and so I did. She and co-host Bill Allman podcast out of Canada, where they bring up some freakish crime stories, do some sketches around them, then bring in a comedian to help determine their “Fucktard Of The Week”. That's all for now. Like our Facebook page. 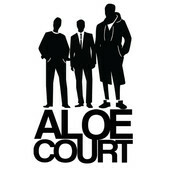 Rate us on iTunes. 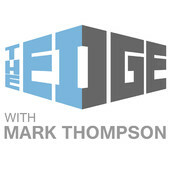 Thumbs up us on Stitcher. Buy some merch. And, above all else, please remember to pass the Succotash! 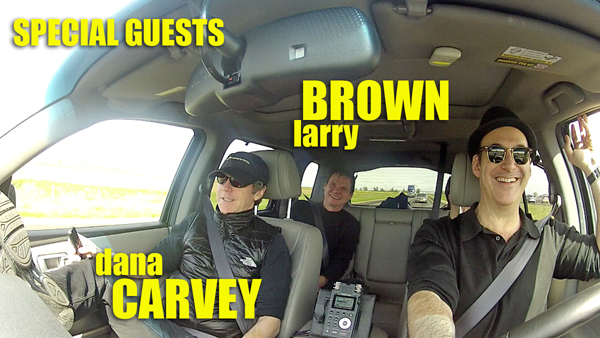 Okay, I’ve been teasing this for a few weeks now but I'm finally going to pop the top on the roadtrip recording I made of Dana Carvey, San Francisco veteran comedian Larry “Bubbles” Brown, and me. The occasion was a pair of theater gigs that Mr. Carvey was headlining — one in Medford, Oregon, the other in Redding, California – and which Mr. Brown was the opening act. Me? I was the chauffeur, documentarian and backstage announcer. We had two GoPro cameras rigged up in the car, courtesy of a trio of documentary filmmakers who are doing a project about comedy in San Francisco (in which Larry plays a prominent part) and we also had a digital recorder running so that we might grab some on-the-road chatter for Succotash. If you heard the last episode you know we had some HUGE swings in the numbers all up and down the Stitcher Top 100 Comedy Podcast List. In some cases but 100, 200 or more places. After seeing this week's figures, I think something must have gone screwy at Stitcher HQ, but they are closer to what counts as normal on this list this week. For the first time since Succotash began, our booth announce Bill Heywatt wasn't available to record our sponsor's commercial (he says he's on "vacation", I prefer the term "rehab refresher".) So I give it my best shot this episode when it comes to pitching Henderson's latest, their Sleepover Slacks. Our Ambassador to the Middle Will Durst sounds off this episode about two things that go together like salt and pepper, namely politicians and scandals. 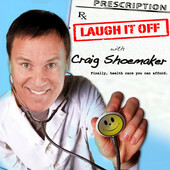 Back in Epi29 my special guest was comedian Craig Shoemaker, from an interview we had when he played San Francisco last summer. So high time we pay a quick visit to the Love Master via a clip from The Craig Shoemaker Show, which is also known as Laugh It Off, kind of a healing-through-laughter philosophy. He’s joined by comedian Sarah Sweet and sidekick/barista Joel Geist. Craig talks about how he likes to record his encounters whenever he gets pulled over by the police for traffic stops — and we get to hear one. 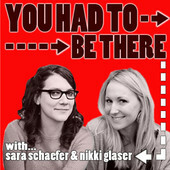 Splitsider.com has their own comedy podcast network and You Had To Be There, hosted by Sara Schaefer & Nikki Glaser, is part of the roster. (Don't even get me started why Succotash isn't part of their lineup...) Recently they had Jim and Jeannie Gaffigan guesting — yes, we heard the Gaffigans LAST episode when I featured a clip from The Todd Barry Show — but this time they're talking about fame and Taylor Swift. Or, rather, Taylor Swift’s fame. So that's all we have in the way of clips this week. Hopefully, you'll be amused by the over 45 minutes of rambling conversation on the road with Dana Carvey and Larry Brown. Please take two seconds to jump up on iTunes, click to the Podcast section and both rate and review Succotash. 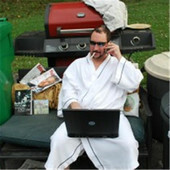 You can give us a Thumbs Up on Stitcher. And if anyone asks what podcasts you're listening to these days, be sure to pass the Succotash!